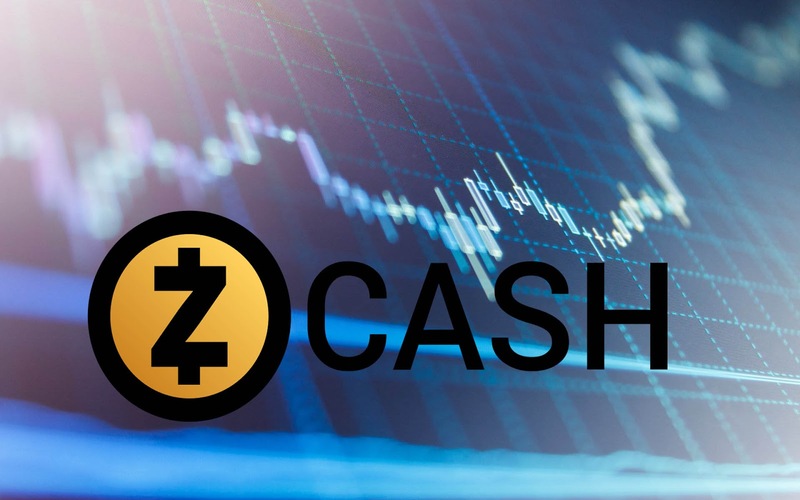 Zcash is referred to as alternative cryptocurrency that is aimed to displace Bitcoin as the main medium of exchange and a store of value in this digital currency arena. Zcash ZEC is outstanding for its advanced privacy technology that incurs zero-knowledge proof to verify a transaction. It implies upon the fact that the transaction parties don’t have to reveal their amount to any third party members. this started as a fork of Bitcoin blockchain in 2016 by Zooko Wilcox, and it is also a decentralized blockchain with the feature of anonymity. "Zcash Price Prediction for 2019"
Zcash ZEC is currently getting traded at $56.03 (UTC time 06:14). With its market value worth of USD 346,507,794 and circulating coin supply of 6,183,844 ZEC, it is the 22nd largest cryptocurrency. It is currently running on a bullish trend of 2.50%. The above price chart shows that Zcash is currently getting traded at 56.17 USD or 0.01388492 BTC (UTC time 06:17). Its current market value is worth of 347,361,000 USD with 185,511,810 USD as its 24h volume. The same chart shows that approx. One month earlier, Zcash ZEC had a trading value of 52.35 USD. So, in this approx. One month period, the value of Zcash has been on a bull trend by 7.29% with 50.43 USD as a good support resistance. As per the assumption of Cryptocurrency world, ZEC is expected to reach $135.70 by the end of 2019. They also predicted that Zcash price could reach to $1358.81 by 2023. According to Trading Beasts community, Zcash has the potential to grow by threefold of its current value and subsequently, it may reach $146.24 by 2019 end. Being Cryptocurrency assumed that Zcash price is susceptible to trade around $380 by the end of this year and in five years, it can even reach to $760. The team of Zcash is planning to improve scalability issues of this crypto for allowing an unlimited number of transactions in reality. Zcash developers are also working on novel consensus algorithms like Proof-of-Stake along with scalable and private smart contracts. With all these developments to be launched in 2019, Zcash price has the potential to trade around $500 by the end of this year. Zcash is a potential cryptocurrency. It will be relaunched with more beneficial updates that can benefit traders, organizations, and investors to a great extent. Considering the above predictions, Zcash can be a good option for long term investment. I am grateful to this blog for helping me. I included some predefined pieces of information which are extremely imperative for me to utilize them in my composition aptitude. Extremely supportive stuff made by this blog.